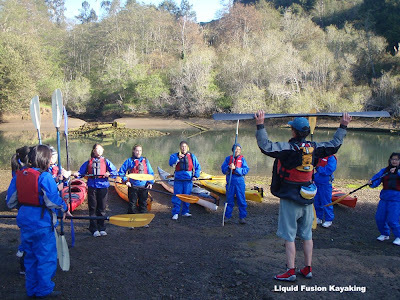 Liquid Fusion Kayaking: Kayakers Welcome!!! 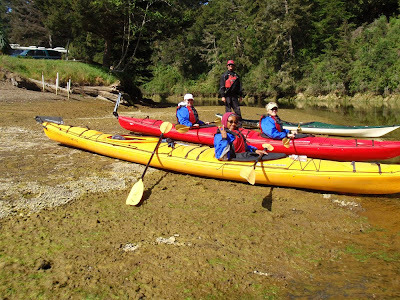 Last summer while kayaking on Fort Bragg's Noyo River, a banner appeared stating "Breakfast, Lunch, Beer, Wine - Kayakers Welcome." Of course we had to investigate and discovered the friendly, yummy, and affordable Deli at Dolphin Isle Marina. Over the winter, we used the beach area at Dolphin Isle for launching and landing our kayaking classes and tours and discovered that Dolphin Isle has much more to offer kayakers than good, affordable food. Jeff and I of course love that it is one of those "off the beaten path" places. 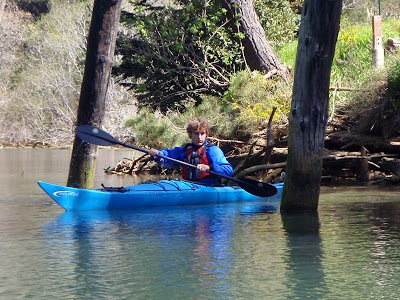 We have also discovered it to be one of the best areas for getting beginners started in kayaks and for those of us who like to hide from the wind and enjoy great birding and wildlife watching. The winding, meandering of the Noyo protects it from the wind and makes currents easily negotiable. In addition to its tasty deli, diverse wildlife, and friendly paddling condition; Dolphin Isle also has a small marina and RV park. 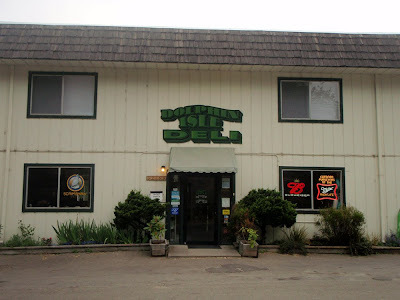 As our business picked up this spring, we were running more and more of our events at Dolphin Isle and started discussing possibilities of Dolphin Isle being Liquid Fusion Kayaking's new home in Fort Bragg. 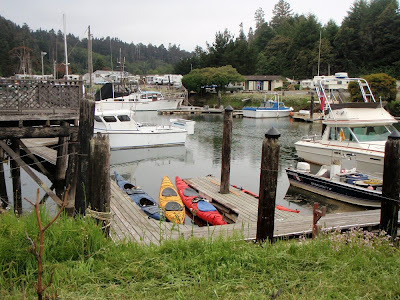 On May 1, we started running our tours from one of the marina boat slips. 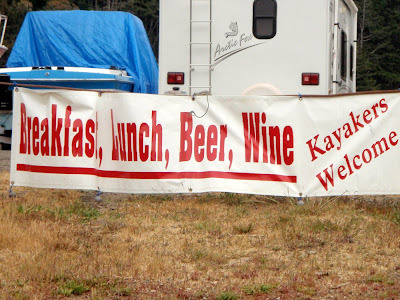 But remember, I said that there was an RV park as well. Stay tuned for our June developments.